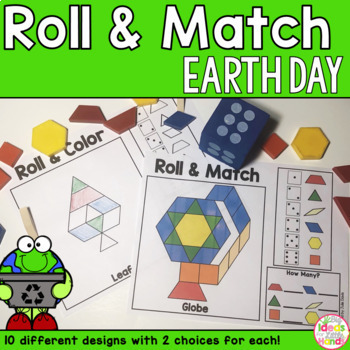 Are you looking for an engaging Earth Day Geometry Pattern Block themed activity for math centers or small groups? This is a perfect game that your students can work on independently! There are 10 different mats and 2 versions each to fit which version best meets your students needs. 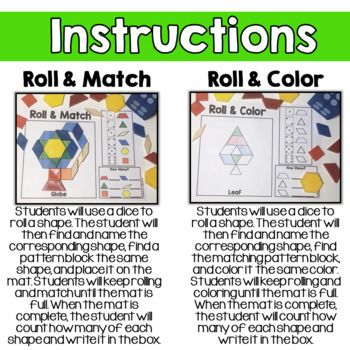 Roll & Match - Students will use a dice to roll a shape. The student will then find and name the corresponding shape, find a pattern block the same shape, and place it on the mat. Students will keep rolling and match until the mat is full. When the mat is complete, the student will count how many of each shape and write it in the box. 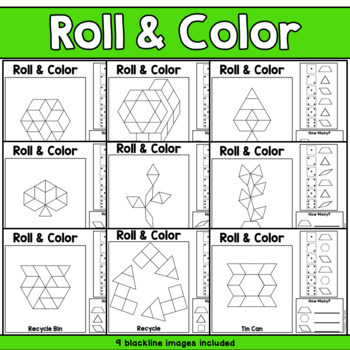 Roll & Color - Students will use a dice to roll a shape. The student will then find and name the corresponding shape, find the matching pattern block, and color it the same color. Students will keep rolling and coloring until the mat is full. When the mat is complete, the student will count how many of each shape and write it in the box. 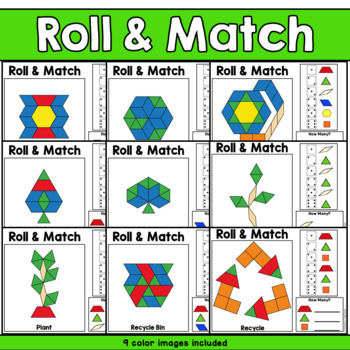 Check out my other Roll & Match games here! Check out my Spin & Roll games here!